Yarmila Alfonzetti is the new classical music programmer for the Perth International Arts Festival. Yarmila worked for many years as head of classical musical at the Sydney Opera House, but perhaps her best credential is her decades of obsessive concert attending! She splits her time between Perth and Sydney where she is CEO of the Sydney Youth Orchestra. 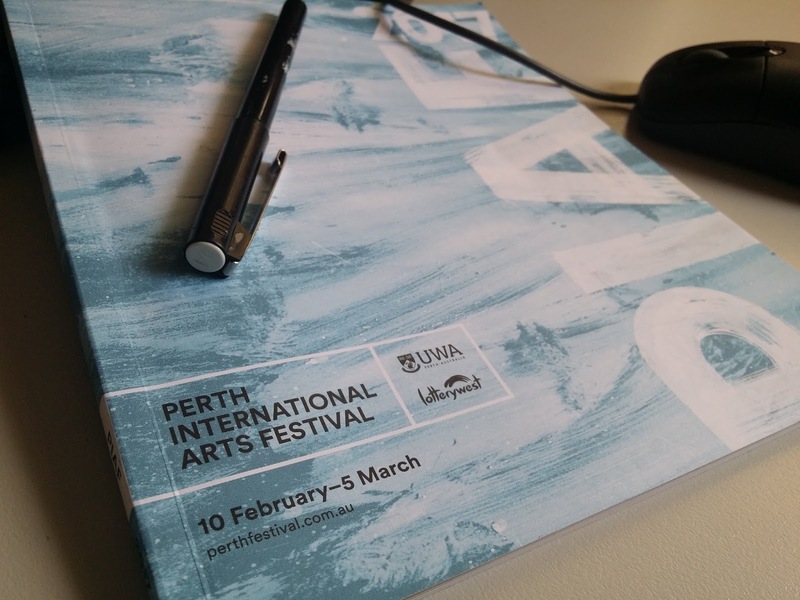 Yarmila shares below her first impressions of Perth and her enthusiasm for chamber music, opera, leider, symphonic repertoire… well all things musical! There is nothing like a big symphonic work; I defy anyone to not be jolted out of their everyday existence when listening to the Rite of Spring, or Pictures at an Exhibition, or Shostakovich Symphony no. 5, or Symphonie Fantastique… I could go on. These big works, full of power and complexity, when played by great orchestras (ideally live in a concert hall), are really the stuff of my dreams. Oh, and let’s not forget all the big requiems – Verdi, Faure, Berlioz! Oh, and the great operatic repertoire… there’s too much. Not much actually (I find it hard to relax). Because of what I do, music isn’t often in the background for me, so I don’t listen to relax. I find myself needing to concentrate too much. I do practice a lot of yoga, and this is my way of meditating. Nothing – I am a terrible singer! I leave it to the experts. You joined the PIAF team in November when the Classical Music Program was ready to launch; what is your role now heading into the Festival? Actually I have spent quite a bit of time in the second half of 2016 with the PIAF team, and it has been really wonderful. My role is really to support the Artistic Director Wendy Martin to realise the dreams and aspirations that she has for the festival, as well as shape the classical program and bring my expertise about artists and repertoire. I have programmed a lot of concerts, so I know what a good classical music concert is. Heading into the festival, my role now shifts slightly away from supporting the AD, to supporting the artists and the audience. I truly believe that the best thing I can do is be the conduit between these two elements; I will be hosting each concert, making introductions, talking to people before and after, and I am hoping to make classical music lovers in Perth feel like they can get as close as possible to this music. I noticed the recent addition to the program of the Classic Flow Yoga. Was this your idea? Classic Flow was originally the brilliant brainchild of a fellow yogi Ramona Curmi and the most inspiring yoga practitioner and teacher Lara Zilibowitz who have recorded some podcasts for ABC Classic FM. To bring this beautiful combination of yoga and live classical music to an outdoor setting in Winthrop Gardens seemed like the most natural thing in the world (the lengths a girl has to go to in order to get her weekend yoga fix)! Lara is really someone quite special; for her there is no end to the movement in each yoga pose, and this continual stretching, adjustment and reaching is made seamless when in consort with classical music. The program is dominated by chamber music, in particular lots of string quartets (Calder Quartet, Brodsky Quartet, Australian String Quartet! Why is this genre the focus? Well, the repertoire is THE BEST! I also like diving deep into something; if we are going to do it, let’s get into it! In the chamber music program, audiences can really get to know something, they can walk away knowing a lot more about the genre, the composer, the period of music. Goethe said that listening to a great string quartet is like eavesdropping on a conversation between four brilliant minds; I am so excited to have a long weekend of this in Perth. The Chamber Music Series builds on the success of the inaugural chamber festival last year. The program includes the Brodsky Quartet performing the complete string quartets by Shostakovich. Listening to 15 string quartets over 3 days is a marathon task. What can audience members expect? The can expect to be moved, to be taken on a journey, to feel like they are part of a private moment in time between the composer and the life he has tried to capture in notes. It is a commitment, but it’s a once-in-a-lifetime opportunity and the rewards are great. The Dark Mirror takes Schubert’s iconic Winterreise into new directions with tenor Ian Bostridge accompanied by the WA Symphony Orchestra, video imagery and a wintry landscape setting. It sounds absolutely fabulous, although I wonder if it could offend purists. Is reimagining masterworks in a contemporary framework the way of the future if classical music is to build a new audience? I must admit that I personally am someone who requires nothing more than a bare stage and a brilliant musician to enjoy a performance. I don’t need any bells and whistles. But what I really want people to understand about this performance, and in fact all varied performances of Winterreise (and I have seen and heard many), is that it will enhance and layer your interpretation. 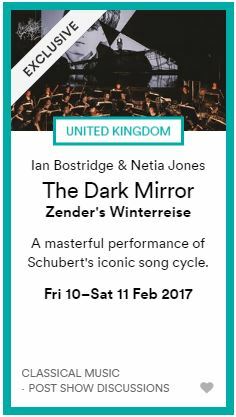 True lovers of this work, and people like me who adore lieder in general, will be so excited to have an opportunity to add to their understanding of this piece; to be tutored in a deeper understanding of Winterreise by the master himself – Ian Bostridge – is an absolute privilege. I do hope that WA residents realise how exceptional this opportunity is…the rest of the classical music community in Australia is gasping that Ian is only coming to Perth! I don’t think we need to re-imagine classical music to make it appealing, what we have is the world’s best artists here in Perth presenting the very best repertoire, and it is this commitment to quality across every show in every artform which will appeal. Composer Mark Applebaum says music should above all else be interesting. What do you think is the most important role of music? Hmm, I don’t think that music has to be the same thing for all people, but essentially I do tend to agree with Mark. The best music is interesting, and it is also complex. The music I think people are drawn to is often appealing and simple on the surface, but beautifully intricate and complex underneath (the same thing can be said for great folk music, jazz, and even pop music; the best pop music often has a couple of unusual chords, or a twist in the standard structure). Works by the greats – Bach, Mozart and Beethoven – no matter how melodic and simple in structure – have attracted the minds of hundreds, if not thousands, of musicologists throughout history who dedicate lifetimes to unpicking the complexity that is required to create this beauty. So, interesting is good, underlying complexity is better. You have a soft spot for attending concerts. What is the attraction of listening to live music? 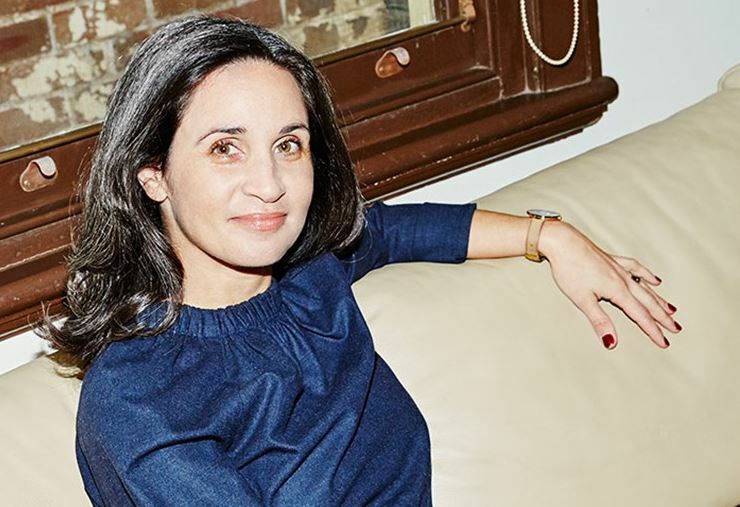 Life is busy, and messy and fraught with emails and devices and meetings. A concert is one of the best ways to find solace, to think, to allow your mind a moment of deep thought. And it’s hard to be interrupted – you have bought a ticket and are ensconced in a concert hall. If you are just at home reading a book, well expect the kids to disturb you at any minute! When did you first begin to be an advocate for classical music? I have wonderful parents and a family who all believe that art is the most important thing in the world. My parents let me learn every instrument I wanted, took me to concerts, and had a house littered with books and paintings and sculptures. So this allowed me to know that art is important, and it enriches everything in life. It changes your perspective and makes you think. In my day job now as the CEO of Sydney Youth Orchestras I talk to hundreds of parents all the time, and I remind them about what music teaches young people – hard work, dedication, listening. The list goes on. And for so many young people, some of them troubled teenagers, if you have an artform (music, painting, whatever), you always have it. It’s yours. Friends might come and go, school life gets complicated, but your music is your own retreat. Where did you learn the skills to curate concerts? I just go to a lot of concerts, and I appreciate the skill of good musicians. When I was at the Conservatorium High School in Sydney, I used to head down to Sydney Opera House most nights of the week and sneak into an empty seat after interval. In my many years as Head of Classical Music at Sydney Opera House, I was in a venue almost every night. It’s not really about making a perfect concert, but more about sharing great repertoire, and providing another interpretation of the music, and allowing people an opportunity to hear something anew. The best concerts for me are the ones where musicians truly interpret the music. I don’t know Perth well enough yet to have my own secret favourite place, but Boucla is the best café (and I live in Darlinghurst in Sydney so that’s saying A LOT), the City of Perth Library is amazing, I love the boab tree in Kings Park. Do you have a soft spot for anything else in life or is it all about the music? Haha – it is really all about music. I have backed myself into a corner, and I’m not sure I want to work in anything that isn’t all about music. I made a decision years ago to surround myself with music and musicians, and that is what I search for in everything I do. However, I do also love gardening and dream about having my own huge garden to tend one day, and I do have a tiny soft spot for my husband (who is old and wise)! Thank you Yarmila Alfonzetti for participating in the Celebrity Soft Spot series. The full classical music program for PIAF is here and there is an interview with her on the PIAf blog. Yarmila will be hosting concerts and giving talks throughout the festival so be sure to bail her up and add your voice to the classical music dialogue in Perth!